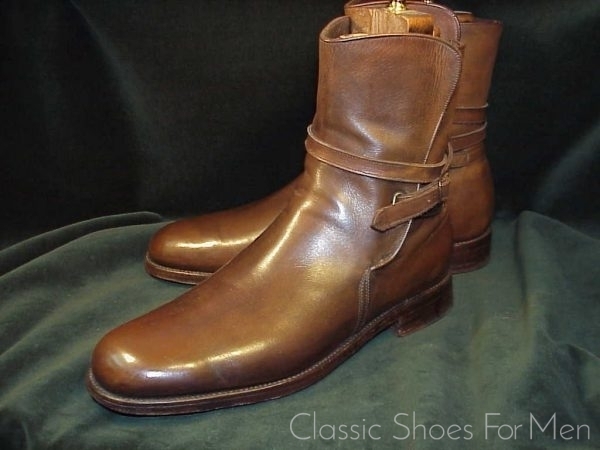 This is the most robust Jodhpur Boot I have ever seen. 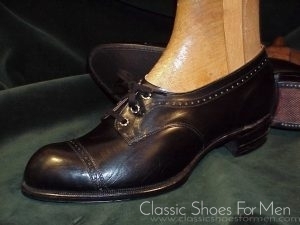 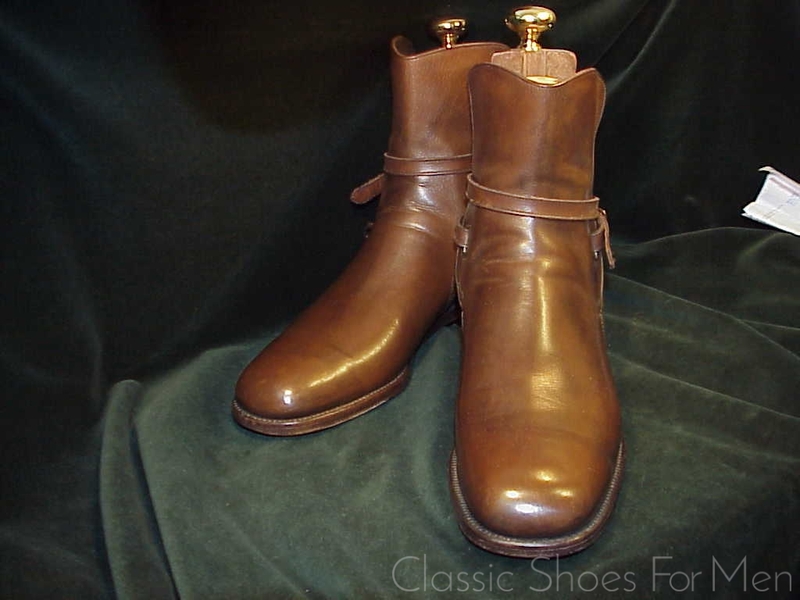 In terms of rarity, it is one of only three pairs of Florsheim Jodhpurs I have ever seen. 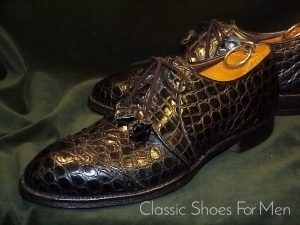 This one, another in the website and one which will always remain in my personal collection. 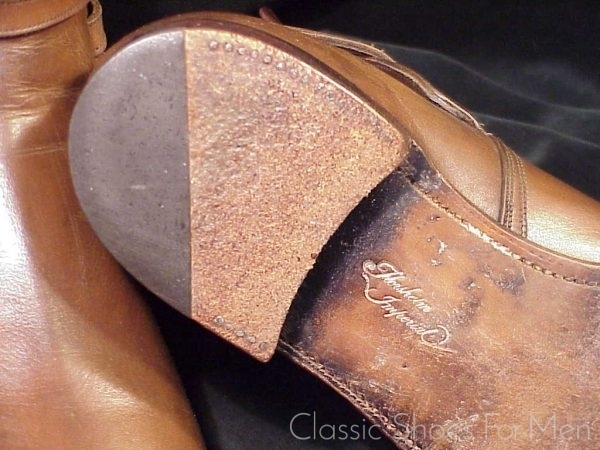 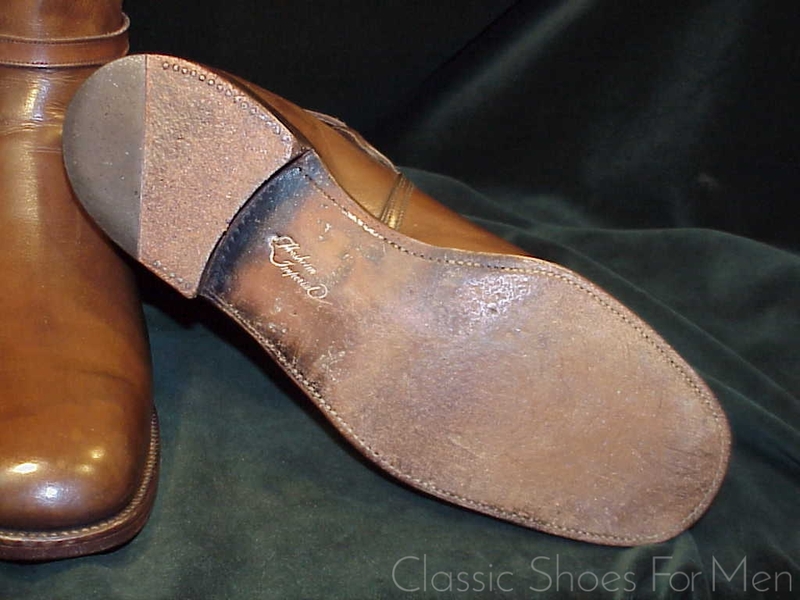 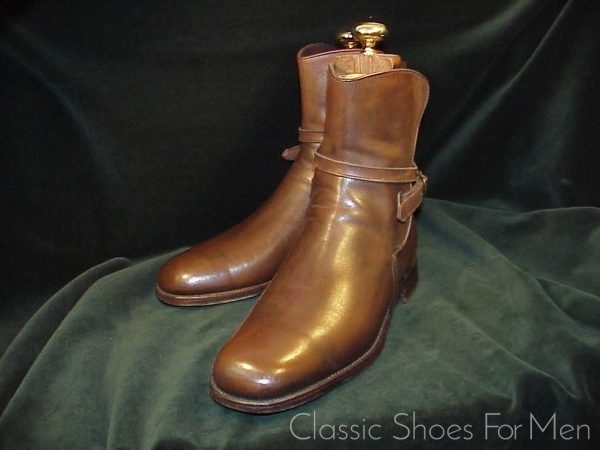 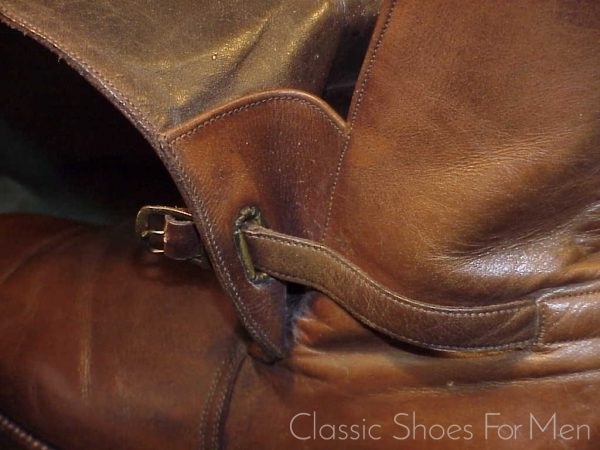 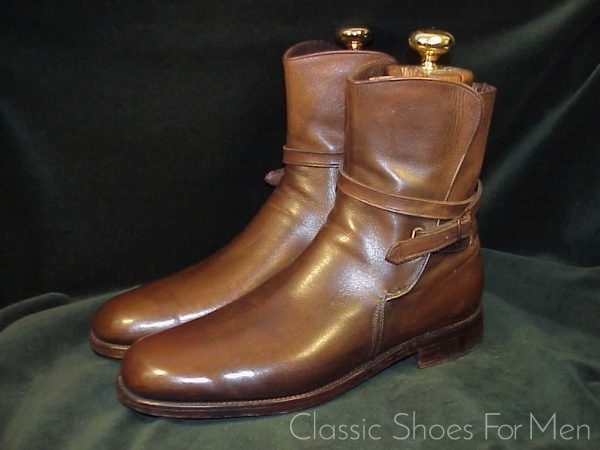 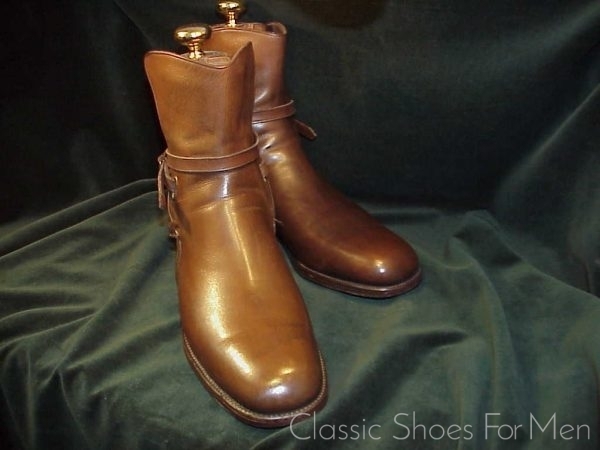 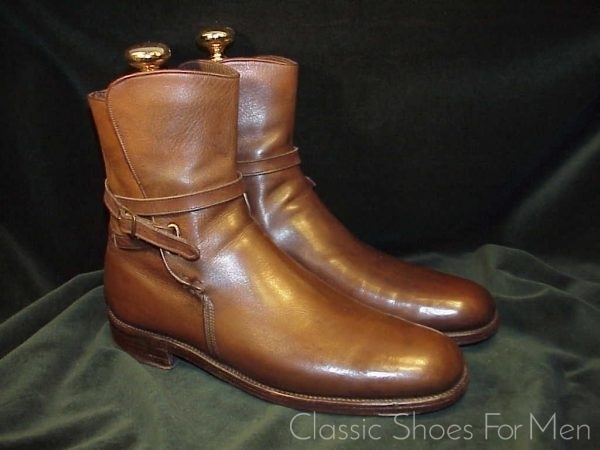 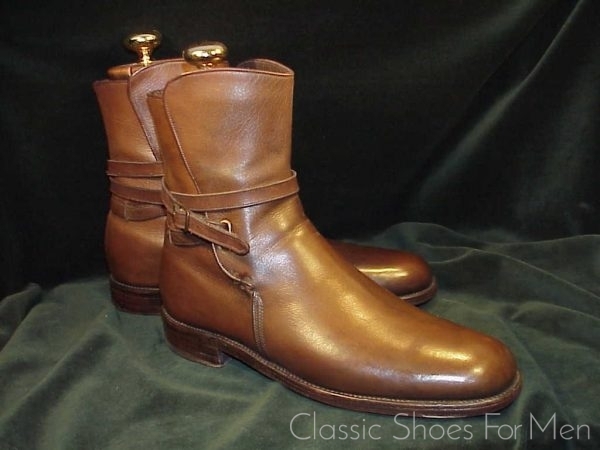 Moreover, remarkably, apart from reference in this website, there is not a single valid reference to a vintage Florsheim Jodhpur Boot in the internet. 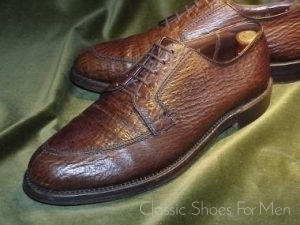 This particular pair is as close to new as can be; in lovely original condition. 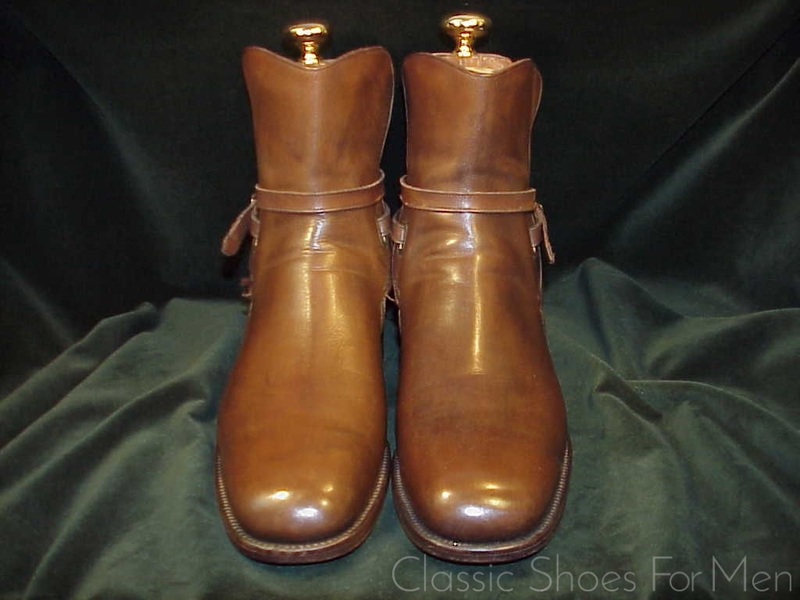 With its taller than usual gusseted (see detail) shaft, I believe it is fair to say that no more sturdy Jodhpur Boot exists. Almost 50 years old; expect another 50 years of brilliant service! 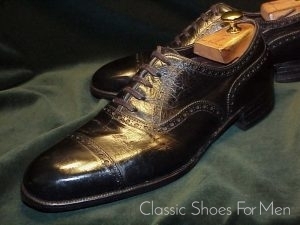 US 8.5-9D.......Continental 41.5-42D..........US 40.5-41E, for the medium width foot.